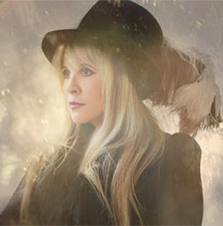 Stevie Nicks is on a continuation of her "In Your Dreams" solo Tour which has been on & off since last summer. This brief two week set of shows, is stopping at many venues around the New York area &a few others in the North East. At the end of the month she will complete the last leg of the Heart & Soul Tour with Rod Stewart. The songstress continues to tour on a constatnt basis and plainly is the best in the buisness. 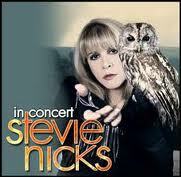 As you can see by the many reviews I have done on this site, I am a die hard life long fan of Stevie Nicks. At this point I am on a streak, having seen every tour of the last 12 years. Last night was another fantastic show at the Beacon Theater. I had spectacular 14th row, asisle seats in the midst of a very enthusiastic crowd. They were loud, they cheered often, they stood up & danced on all the big songs. Even Stevie said she loved the New York crowd. Even though she was born in Phoenix & is a California Girl at heart, she always felt like she belonged in New York. She also made note of her tremendous fan base in the New York area. Just to give you an idea of her following here, in a two week span she is at the Beacon Theater, Jones Beach, PNC Arts Center, Moheicgan Sun & Atlantic City. 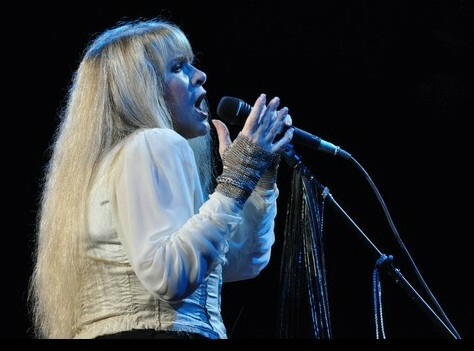 I dont feel there is any other artist that brings a feeling of closesness to themselves & their fans as Stevie does. Beyond the music which of course speaks for itself in recordings, at a live setting she manages to build a personal relationship with each one of her fans in the auidenece. She narrates the stories & life expierences around her songs throughut the night. Almost like a story teller setting in a living rooom. She cares enough for us to know about those parts of her life in what she writes & sings about. Then She proudly displays personal family pictures during an emotional rendition of Land Slide. This shows how much she is like the rest of us, a son or daughter, brother or sister in a family getting through life. All I can say is that she is still the phenominal. She looks fantastic & sounds even better. I feel she may be sounding better than she ever has as crazy as that sounds. To me she seems to be hitting higher & longer notes, even holding them for a longer time, almost without any effort. Her legendary vocals are on the top of her game in a live concert, no doubt. 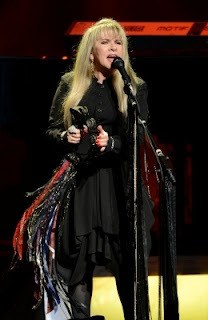 The beautifal rock goddess, continues to don her classic warbrobe of a long black dresses & hanging shawls. When she holds out her arms she seems to embrace the audience into her. And when she spins & twirls in her high heeled boots she takes us into her trance. This is what it has been all about for 35 years. My favorite wardrobe prop of the night, was her long arm length, black leather opera gloves with the long dangling jewelry hanging off them, very hot. 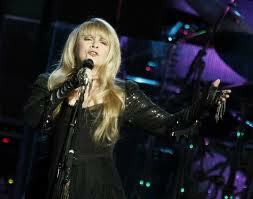 Stevie Nicks has always don alot for soldiers dating back to the first War In Iraq. She tells an icredible story of two of her visits to soldiers hospitals where she witnessed an incoming of wounded veterans. The encounter touched her life & inspired her to wroite Soldiers Angel. Proceedes from the Tour & its merchandise go to the Wounded Warrior project. 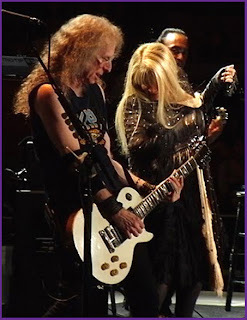 The band consisting of long tome Stevie Nicks Tour veterans were led by musical director, the great guitarist Waddy Wachtel. Also on hand guitarist Carlos Rios, drummer Jimmy Paxson, bassist Al Ortiz and rick Peterson & Darrell Smith keboards/pianos. The beautifal Sharon Celani who has been backing Stevie on vocals on both studio recordings & concert tours, since 1978 was on hand once again sounding & looking as good as ever. 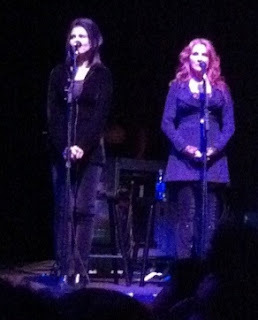 She was joined by longtime back up singer/ Stevies sister in law Lori Nicks. So much must be said of the backing vocals that make up the Stevie Nicks sound, great jon again ladies. Was in Row 20 center! It was a great show and Stevie sounded fantastic - had seen her in darker days when she was struggling to remember lyrics and stand up, let alone back. I recall tossing a wedding invite onto the state from the front row at Blossom in Cleveland in 1991. (Funny, she never did RSVP.) ;) Always a fan of her lyrics, sound, love of her audience. The Beacon brings out the best in performers it seems. Terrific review. OMG...I had a 7th row orchestra dead center seat!!! I was considering not going but am SO glad I did. I've been seeing Stevie live in concert since the early 80's and this was THE best show I've been at. Worth every penny ten times over, she is phenomenal and I love her. We were visiting from Australia and didn't know Stevie was in NYC so this concert was a fantastic bonus!! I can't remember enjoying a concert so much. Yes, dancing and cheering and feeling that we actually got to know her personally as the other people have commented is an experience we will never forget. I had seen Stevie in fall 2011 at Jones Beach, but did not want to pay $250 for a seat at the Beacon....maybe if it was a charity event. All of Stevie;s long-time fans agree that she has NEVER sounded better and never been so energetic and positive on stage..and what a terrific band! Apparently. Stevie lost a decade of performance "oomph" because of a clonopin/prescription anti-anciety drug which also "succeeded" in flattening her out emotionally and creatively. She also took her first voice lessons beginning @1995. I am looking fromward to a planned Fkeetwiid Mac tour in 2013 and HOPE that Stevie and her reps. can limit the number of shows /performances and appearances per week,. 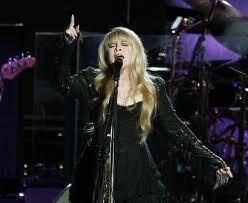 so that Stevie can maintain her current magnificent stage voice and presence for many years to come.